Who can resist the smell of meat on a BBQ? It’s the quintessential whiff of summer for me – that, and the sing-songy siren call of the ice cream van. Magic. 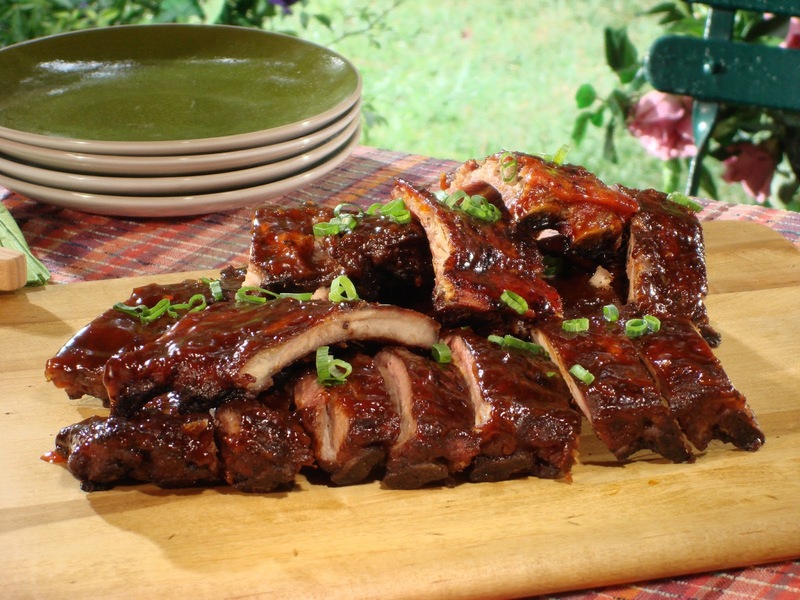 I am providing you one of the easiest, lip-smackiest and juiciest recipes for BBQ ribs and these come with a twist of course, they have an Asian flavour to them. Match these up with some potatoes or grilled veggies and you’ll have an unforgettable meal. Best part of this is that you can also grill the ribs ahead of time and put them in the fridge. When you’re ready to serve, heat them up in the oven and I swear, your dinner guests will be none the wiser! I have to admit, though, this recipe came by way of my good friend Michelle who is a swell foodie and an even better friend. Remember to wash the ribs first. Remove the back membrane and cut into quarters (i.e. into a four-rib section). Combine all the ingredients and marinate the ribs overnight. Cook bone-side down, one hour on low heat. What's so terrific about this recipe is you can adjust all the ingredients to suit your tastes. I like the extra tingle that ginger gives, so I always put in more.